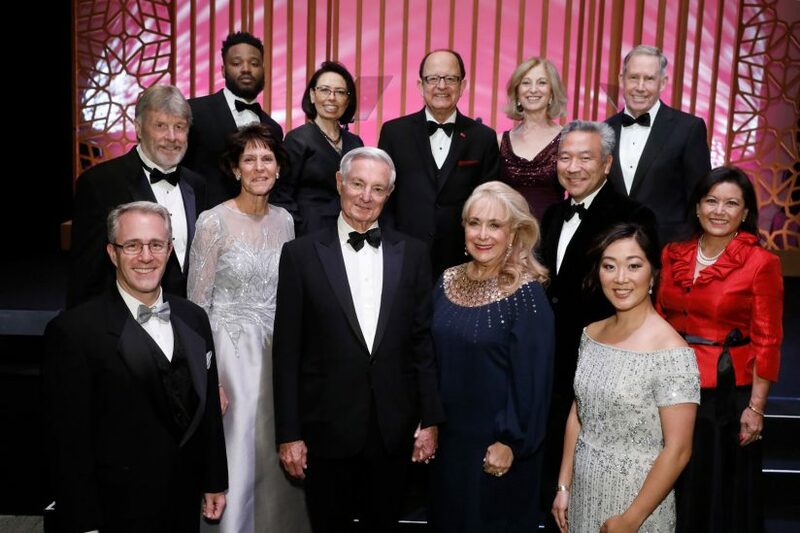 Nine outstanding USC supporters were honored for their professional achievements and legacy of service at the 85th annual USC Alumni Awards on Saturday at the InterContinental Los Angeles Downtown hotel. William McMorrow accepts the Asa V. Call Alumni Achievement Award at USC’s 85th annual Alumni Awards. USC Trustee William McMorrow ’69, MBA ’70, chairman and CEO of the real estate investment company Kennedy Wilson, received the university’s highest alumni honor, the Asa V. Call Alumni Achievement Award, which recognizes alumni who have demonstrated exceptional commitment to the university and the community by giving generously of their time, energy and leadership. The Alumni Merit Award, which recognizes alumni whose remarkable accomplishments speak well for the range and quality of a USC education, was presented to USC Trustee Carmen Nava ’84, an AT&T executive who was named one of the Top 100 Most Influential and Notable Hispanics in tech in 2015 and 2016; former American Dental Association President Carol Gomez Summerhays DDS ’78, the first Filipina-American and fourth woman to head the oldest and largest dental association in the world; and Warner Bros. Chairman and CEO Kevin Tsujihara ’86, the first Asian-American to run a major Hollywood studio. 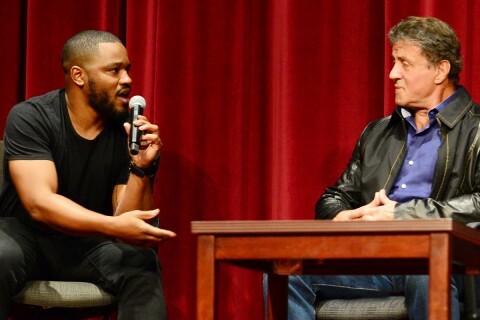 The Young Alumni Merit Award, which is presented to an alumnus age 35 or younger who meets the same criteria, was presented to the award-winning filmmaker Ryan Coogler MFA’11, whose credits include the critically acclaimed Sundance Film Festival Grand Jury Prize winner Fruitvale Station (2013), the box office smash Creed (2015) and the hit Marvel Studios film Black Panther, which opened in February. The Alumni Service Award, which recognizes alumni for their outstanding volunteer efforts on behalf of the university, was presented to Bob Padgett ’68, a past president of the USC Alumni Association Board of Governors, and Valerie Gumbiner Weiss ’74, MPA ’81, a past chairman of the Alumnae Coordinating Council and longtime university volunteer. 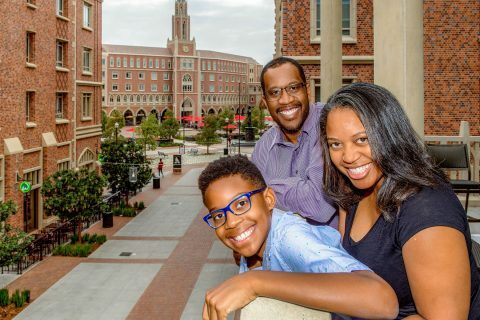 Every year since 1932, the USC Alumni Association has paid tribute to distinguished members of the Trojan Family. 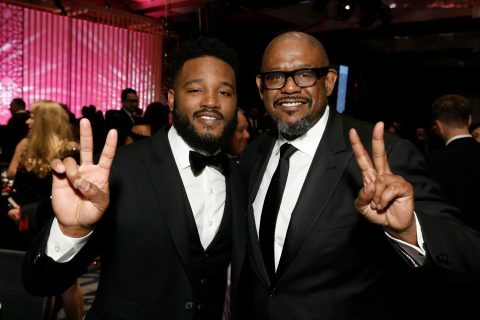 The annual Alumni Awards gala is the premier event hosted by the USC Alumni Association. Past honorees include Apollo 11 astronaut Neil Armstrong ’70, world- renowned architect Frank Gehry ’54, opera great Marilyn Horne ’53 and Academy Award- winning filmmaker Robert Zemeckis ’73. All proceeds from the event support the USC Alumni Association’s programs and services. The director, writers, editors and composer give students the inside story on the hit film.